Learn how to go beyond classical automation with CFEngine 3, one of the most established configuration management systems available. In this video tutorial, host and CFEngine creator Mark Burgess takes you on a tour of discovery from basic automation concepts to more complex examples, such as implementing distributed orchestration. Along the way, sysadmins, developers, and distributed system architects will learn the theory behind configuration management, executable documentation, and self-healing systems through many exercises and hands-on examples. You’ll also discover how to apply CFEngine to a variety of systems. 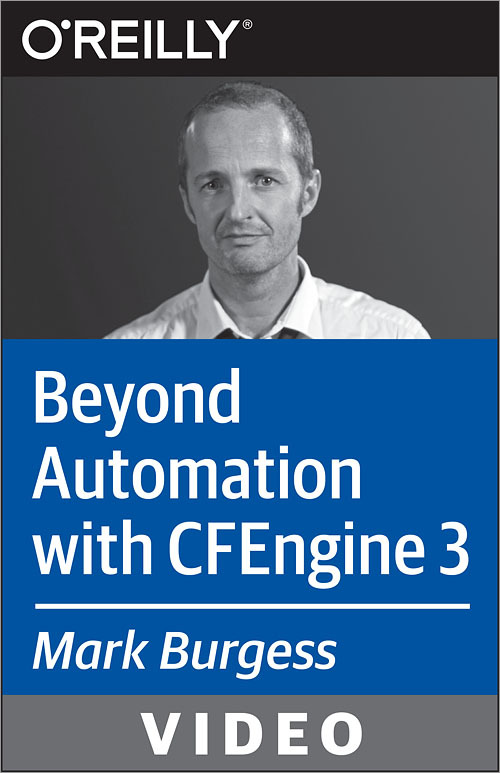 Mark Burgess, inventor of CFEngine, is a leading voice in the field of infrastructure automation. Chapter: Chapter 1: What is Automation? Chapter: Chapter 2: What is CFEngine? Be a Town Planner; Not a Bricklayer. Don't Be the Machine Yourself, Design Machinery that Is Hands-Free!